Relax and unwind after your daily grind. 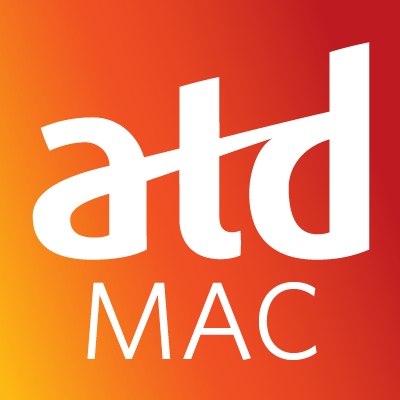 ATD MAC wants to give back to you by providing you a low-key cookout and fun event. We’ll provide the food, games and drinks. You bring the smiles and fun! Covance Laboratories, 3301 Kinsman Blvd. Park in visitor parking spots near parking ramp, entrance off Pierstorff St. Being your authentic self is often the most powerful way to lead. There is no law that you have to lead in a specific way. What we've learned in our own 50 years of executive leadership experiences, in addition to 11 years of coaching, is that there is no style better suited to your success than being your authentic self. Whether your style is kind and caring, or a little rough around the edges, as long as your skin is comfortable, you might as well work from a position of strength. That is not, of course, to say that any behavior goes! That will be true forever. Even a rough around the edges person can care about their people, talk in a way that shows it, and use caring confrontation. And even a really nice person can care about their people, expect accountability, and use caring confrontation. We'll show you how these seemingly conflicting comments are really nothing more than the leadership skills you implement, and any way you do it can be fine. Want to be a speaker but don't know how to get selected? Not sure where to start to begin speaking? Want to move to the national level? This panel presentation will help you build a plan to start speaking at local events with an eye to speaking at national events. We will talk about why this is an important aspect of your career development, and the nuts and bolts of how to make it a reality. Thursday, December 13, 2012 What Are We Thinking? Innovation! Friday, April 27, 2012 The Truth About Performance Appraisals - But What To Do Instead?